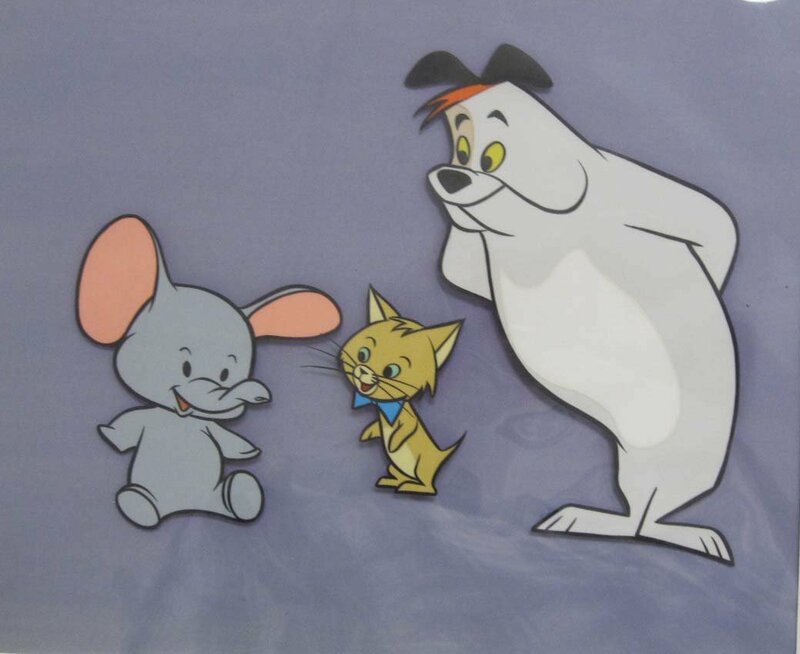 This is a fantastic early and extremely rare model cel of Ruff and Reddy from The Ruff and Reddy Show (1957). This early version of the characters was probably used to help pitch the show to the network. The entire piece measures 10" x 12" and Ruff is 7" tall.